Pharaohs Unveiled is the latest film by Menelik Shabazz that expands the documentary genre. 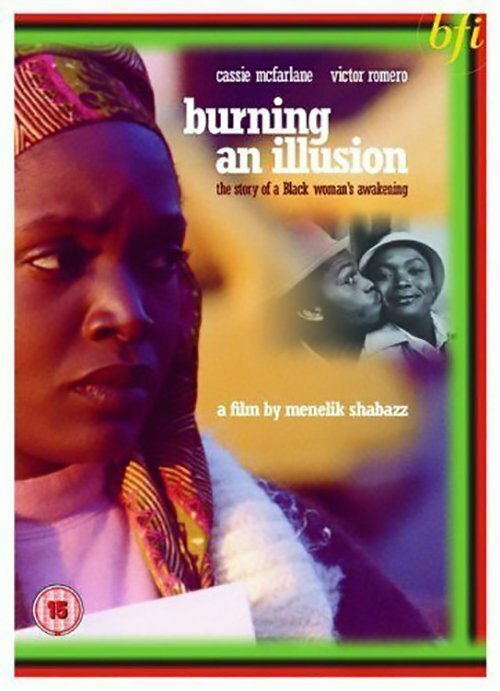 Here you’ll find some of the stories behind the making of the films in the Menelik Shabazz film collection. It was the mid-seventies and black youth mostly British born were being perceived through the media as thieves and criminals (what’s changed?). I was upset by this interpretation and wanted to show a different reality to media sensationalism. It was a time when those growing up here or born here in the UK were treated as outcasts and invisible- unless something negative happened. As with one incident I remember when two youths robbed an elderly women who died in Birmingham. The Judge gave them 21 years!! We lived in the shadows of Enoch Powell’s speech predicting black immigration would lead to conflict and ‘blood on our streets’. I was living in another reality of Macolm X, Black Panthers, Angela Davis and George Jackson which was shaping my views about the world I wanted to change. STEP FORWARD YOUTH was my first film project. The title came from a reggae tune of the same name by Prince Jazzbo. I wanted this film to be relevant to my community more than looking for outside recognition. I teamed up with David Kinoshi who was also the same film school to make the film. We became very close, we hung out, chased girls, went raving together we were gonna change the film world. In those days we were shooting on raw 16mm film stock which was expensive, but we were not daunted. With the help of a few donors we managed to gather enough to give encouragement. The main funder was David’s uncle who was a fairly rich Nigerian. He owned an apartment in St Johns Wood, London. To get his money we had to turn up at his apartment at 10am regularly, he kept us waiting for hours whilst he had a bath, and talked on the phone. His display of power didn’t go down too well with us till eventually we got tired of playing his game. Anyway he coughed some of the money. It wasn’t enough and I had to make a decision about whether we should stop and wait to get more money or keep going. I decided to keep going – it was the most important decision of my life – aged 21. We continued on, and with a few favours managed to edit and complete the film and Uncle came in with some more money that helped us through the film procession costs. Despite the way he treated us, he wanted to support David. Looking back I think there was guilt because his brother deserted David as baby leaving him with an English Nanny. What was sad that in the same year we completed the film, 1977, David died of sickle cell anaemia which was a real blow. Some of you might remember him as an actor in the movie Pressure. He was the cinematographer and editor on STEP FORWARD YOUTH, he was so talented. A sad loss – this film is dedicated to his memory. 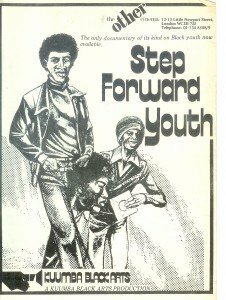 I had a screening at the Filmmaker’s Co-op back in 77 of STEP FORWARD YOUTH which was attended unknown to me by Richard Creasey who was then the head of Documentaries at Associated TV/ ATV one of the commercial ITV companies. He saw my film and invited me to propose a new film idea for his strand. I came up with a film about the Sus’ Law which was being used by the Police to criminalise young black men and women. This police injustice was raging in the black community. Creasy liked the idea and before I know what was happening I was in their Portman Square office with my own researcher. I was happy as a lark – reach mainstream, life was good. I didn’t realise the stir I was causing in this exclusive white world. We shot the programme with no problem. During the editing problems arose as the TV censorship body The Independent Broadcast Authority ( IBA) didn’t agree with the cut as they thought it was too biased in favour of our voice. We argued that it was in fact counter balancing the one-sided media approach to black youth issues. Eventually they agreed with the Controller of ITV Charles Denton that the film could only go out with a statement at the front of the film. It read “This film is made by a black director, it’s about people’s feelings”. I couldn’t believe it!! Unprecendented! The film went out after News at Ten in 1978. In those days there were only three channels and commercial TV had the biggest audience, so BREAKING POINT was viewed by millions. The film helped to repeal the Sus Law a year later which I am proud to have contributed. What was different and perhaps revolutionary about this film was that all of the voices of authority in the programme were black (Rudy Narayan, Stuart Hall, Paul Boteng) this was the first and last for mainstream TV. My original title for this programme was ‘Battering Down Sentence – from a Bunny Wailer Song but they didn’t go for that and instead I agreed reluctantly to BREAKING POINT. This experience made me realise that I was a rebel soul and working in mainstream TV was not the way forward for me. The film includes an interview with me talking about the making of Burning An Illusion on the DVD. It was February 1981 and a fire in New Cross takes 13 young peoples lives. When I heard the news like many I was in a state of shock! I had just completed BURNING AN ILLUSION. The fire was one incident that to many of us didn’t feel right. The police wanted us to believe there was an argument and that a black person was responsible- discounting a racist attack possibility. I got involved with the various organisations who came together to express community anger at the deaths and the way the police were handling the case. We were sure it was a racist attack in an area where similar types of incidents have happened before using petrol bombs. We organised the Black Peoples Day of Action March that was called for at the local community meeting and I felt impelled to record this moment on film. This incident touched people far and wide people were coming in coaches from across the UK. I borrowing old film stock from camera people who were sympathetic and organised two film crews. People like Chris Cox, Albert Bailey ( sound), Roy Cornwall, Imruh Caesar (director on the day) came forward to support this effort. The film was edited in a deliberate newsreel style, a throwback to 2nd World War propaganda films. This was agit-prop filmmaking with no pretence at being impartial. In my mind it was a film for underground circulation in the community but the reality was different. Not many people saw the film as I expected simply because it was only available to show on a 16mm projector which restricted access. It is only in recent years that the film has been available on DVD. I wanted to make a film that took a panoramic view of events happening within the pan African World during an eight year span. It was a film where I could be creatively free. I had a guaranteed TV slot on the newly formed Channel Four under Commissioner Alan Fountain. 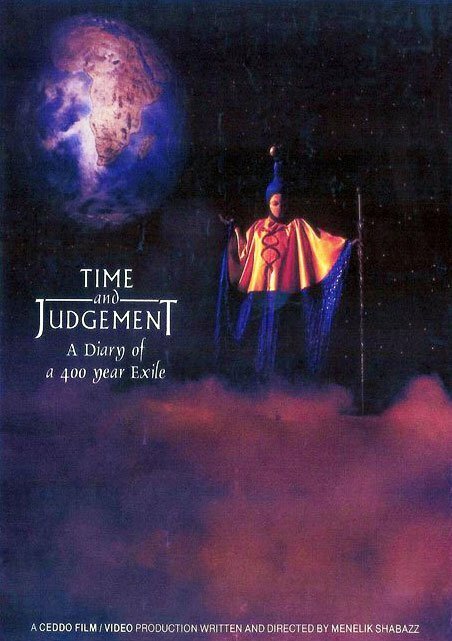 I wanted to add many layers to the film, and I was deep into my Rastafari phase and so I wanted to combine spirituality, symbolism, politics, poetry into a blender. Out came a film that even today I am not sure I fully understand, my own creation. After transmission on Channel Four the following day, a conservative MP made a statement in Parliament condemning the film. I wish I could remember his name. His statement got coverage in the Evening Standard which was where I found out. 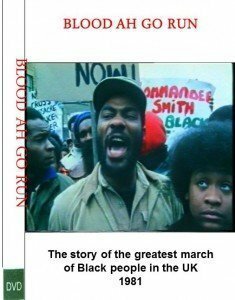 It was only after a decade had passed that I realised that my film was the most radical film about the black experience ever showed on British TV. Never to be repeated! Aimimage Productions was commissioned by the BBC to produce a drama-doc series Hidden Empire. One of the ideas included Jamaican Baptist leader Paul Bogle. He was a national hero in Jamaica and many of the reggae artists including Bob Marley sang about him – yet hardly anything was written about him in the history books. I was approached to see if I could put some meat on the bone to make this project a reality. I realised that a trip to Jamaica was necessary to make any sense of who Bogle was and to connect to his spirit. I travelled to Jamaica with historian Cecil Gutzemore. Whilst in St Thomas at the grave site of Bogle I meet an elder woman who walked with a limp. Meeting her was one of those ‘chance’ moments that transform your life. She didn’t transform my life but put me in the way of Bogle’s great grandson Philip Bogle whose story transformed and gave life to the film. I went back to London with the meat on the bone I was looking for. Philip Bogle agreed to be interviewed. The only problem was that he had lost his hearing aid I was concerned about his answering the questions I wanted to ask. As it turned out no questions were needed. He just spoke recounting the story until he was done. That was it! He spoke as if he was there – I could hang the film on his story. He died a year later. I felt a deep sense that he was hanging on to tell this story. Menelik’s latest film, Pharaohs Unveiled is set for release in Spring 2019. Follow him on your favourite social media platform for regular updates on his progress. 2. Watch films from different countries – Hollywood films feeds narrow minds. 4. Don’t wait for the money – you’ll never make it. 5. Ask yourself who is the audience for my idea. 7. Prepare to accept criticism – without it you’ll never progress. 9. Get your film in festivals – they help your ratings. 10. Marketing is the key.